I can now stage art exhibitions/sales at companies in the north west. I was recently invited to sell my work at leading Manchester law firm DWF. The events follow a similar format to book sales that are now a common feature in the workplace. I can produce bespoke art and posters to order. Just email me on statementartworks@gmail.com to discuss prices and formats. 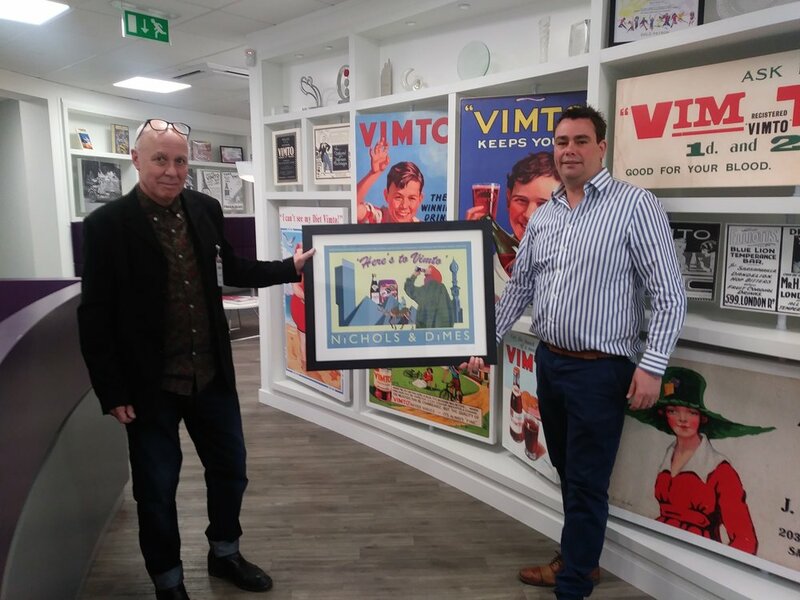 My most recent commission was for a Vimto poster by the Nichols family who have owned the northern drinks firm since its inception. If you would like to feature my work as part of an exhibition in your restaurant, shop or even office, contact me at statementartworks@gmail.com.